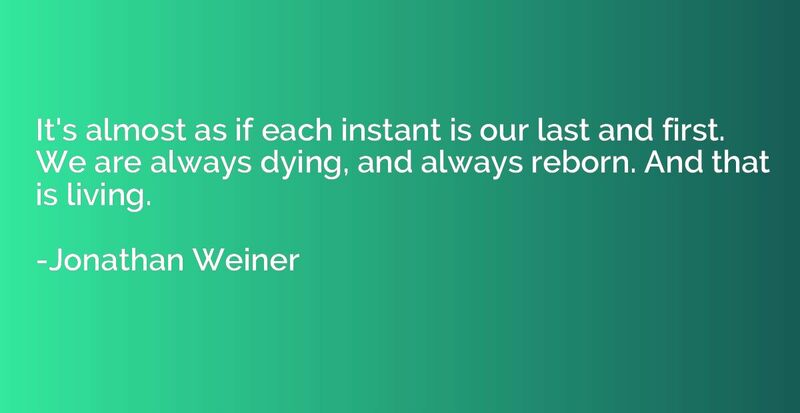 It's almost as if each instant is our last and first. We are always dying, and always reborn. And that is living.